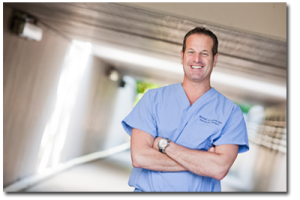 For over 23 years, board certified ophthalmologist, Dr. Mitch Jackson has combined patient-centered care and innovative procedures that have significantly improved vision for thousands of our patients. Dr. Jackson’s specialty is offering personalized lifestyle assessment and advanced options in cataract lens replacement, LASIK, KAMRA Reading Vision, Lens implants (ICL’S), corneal transplants and specialized dry eye and glaucoma treatment. Dr. Jackson has performed over 32,000 LASIK surgeries and 22,000 cataract surgeries in his private practice since 1993. He is actively involved in teaching technique to other physicians through courses at the annual meetings of the American Society of Cataract and Refractive Eye Surgery and the American Academy of Ophthalmology. He has published dozens of original research articles, serves on three editorial boards and has given many academic lectures internationally. At Jacksoneye, we provide quality eye care with superior technology and skill. We are committed to remaining on the leading-edge of ophthalmic innovation and technology. We continually invest in state-of-the-art diagnostic and surgical equipment to provide breakthrough treatments that have improved vision for our patients. As an approved US FDA Research Study Site, Jacksoneye conducts research on surgical devices, new lens implants and medications before they are available to the medical community. At Jacksoneye, your eye health is our priority. We specialize in a variety of vision correction procedures and we tailor your vision correction surgery to give you the best visual outcome possible. Every patient is run through a series of preoperative diagnostic tests and then Dr. Jackson creates a vision plan that is especially designed for you. Every eye surgery is meticulously planned and executed by Dr. Jackson and his staff. We strive to provide a personal experience for each of our patients by providing a family-like atmosphere where our patients feel most comfortable. We will take the time to get to know you and find out exactly what you need to obtain your vision goals. At Jacksoneye, your eye care goes beyond 20/20.